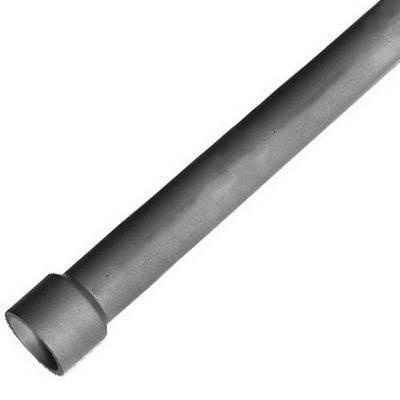 Heavy wall conduit in gray color, features PVC construction for longer endurance. This schedule 80 conduit has trade size of 4-inches. This 20-ft long conduit has wall thickness of 0.337-Inch. It measures 3.826-Inch ID x 4.5-Inch OD and has belled end connection. Rigid non-metallic conduit is UL/ETL listed and meets NEMA TC-2 standards.